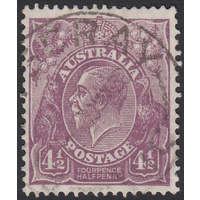 Australia KGV 1928, 4&1/2d Violet, Die 1, Small Multiple Watermark, perforation 12.5 X 13.5, variety 1R35 (Left frame shaved for 2mm at top left corner, inward sloping cut in left frame near top left corner, shade break near left end of 7th shading line in oval above P of POSTAGE) in Fine Used condition with no faults. 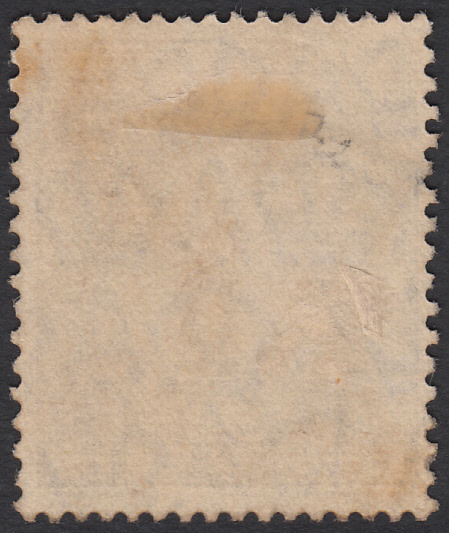 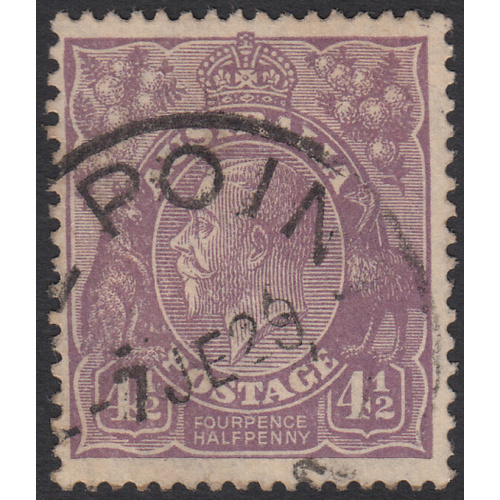 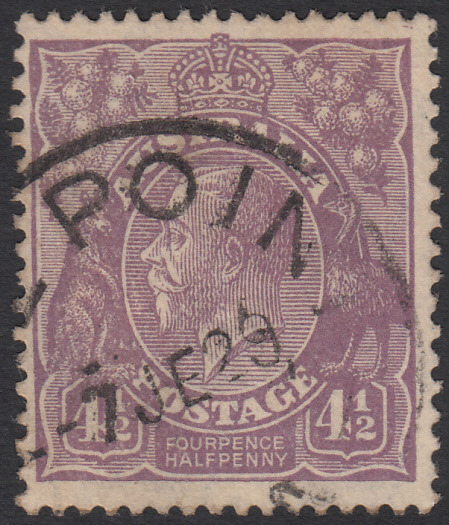 Reasonably centered with a circular datestamp cancellation (7th June 1929) well clear of the variety and second indicator, and just clear of the third indicator. 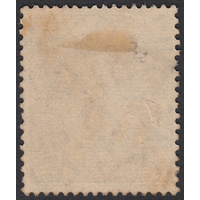 Scarce variety, and hard to find like this!